I used to be braver. I’m sure you were too. As a teenager, one of my most frightening jobs was delivering newspapers in a street with two gang houses. Their dogs ran loose. And they’d been trained to fight. The dog ranger had been called a couple of times, but he wouldn’t come anymore, after they blocked him in and threatened him. Sometimes parties spilled into the early hours of the morning, just before my delivery. There was a stabbing once with blood on the fence. I didn’t quit the run. When things got bad, I’d borrow my mum’s car. Fast forward 20 years. A wife, a couple of kids. Nice house. A business I could have done even better in, but for fear. When I realised this, I upped sticks. We moved the family to Europe and started a new life. But the fear had already held us back. You see, fear is an emotion that was designed for more dangerous times. When humans hunted and were hunted. Despite what you read in the press, day-to-day life for most people living in countries like New Zealand is safer than it’s ever been. Yet anxiety seems to be the national disease. Too many people live in a state of ‘what if?’ and then a compliance culture follows to protect against all eventualities. The main fear I have now is that New Zealand will go increasingly like the UK. Where it’s hard to do anything. Where joy and creativity are slowly drained from the populace. My daughter climbs tall trees at her primary school, as do all the Kiwi kids. It’s fun, and they learn how to manage fear and risk. In Britain, this would shock school administrators to the core. There, she couldn’t even venture into the playground outside of school hours due to health, safety, insurance, and compliance. Colleagues there in finance were so afraid of providing any decent advice to anyone, they held back and started recording all meetings. And people miss out. They miss out on becoming more prosperous. They miss out on the joys of an adventurous life. When it comes to investing, you must face the fear of losing money. Not all your investments will work out or make as much as you think. Especially in the early days, when you lack experience. But those who usually do best are those who understand value, understand an opportunity and take a risk to profit from that. They do this repeatedly and build up a strong, lucrative portfolio. Then they have more options around their work. They become more fearless. Take more opportunities. And become richer. 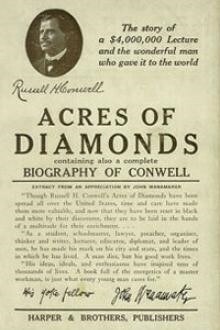 Acres of Diamonds by Russell H Conwell, the founder of Temple University in Philadelphia, is one of those life-changing books that gives you a new perspective. Conwell challenges you to seek opportunities to find true wealth in your own backyard without getting sidetracked by selfishness and greed. When I moved to Europe, every British pound cost me NZ$2.20. Then the Brexit vote went where no finance people expected it to go. Leave. By the time I left, a pound was only worth NZ$1.90. Breakfast at my local café cost £5. At GBP.NZD at 1.90, that’s $9.50 for a full cooked breakfast. Sausage, eggs, bacon, toast, and coffee. The same breakfast in Auckland with coffee would be double that. Although the coffee would be better, as a student of value, I can see Brexit has led to some misalignment. It’s the same with stocks. 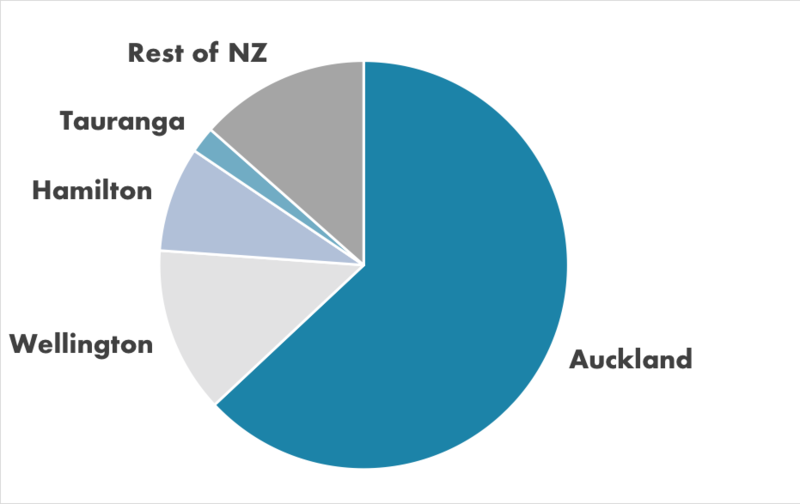 While other markets around the world, particularly the NZX, have become very frothy, many businesses on the LSE (London Stock Exchange) still carry a Brexit discount. That’s why I’m buying there. But you must put aside fear. Brexit looks dangerous. People are stockpiling food, for goodness sake. Britain has been part of the European single market since 1973. They had a leave vote in 1975. 67.2% of people voted to continue membership of the EEC. How things change. And the EU changed. Once it was just a common market. Then it became a bureaucratic machine, regulating everything down to the shape of bananas in Waitrose. But life is filled with abnormal curvature. And that’s where opportunity lies. My own view is that when Britain finally does leave the EU, there will be a period of doubt and distraction. Then, with the right leadership in place, the country will have a new freedom to grow. It already has one of the lowest corporate tax rates in the OECD. And the migration quota can be filled with wealthier denizens than those from the lower rungs of the EU’s per-capita GDP chart. Despite Brexit, the UK economy is still growing. Despite Brexit, the number of wealthy Chinese moving to Britain is rising under Tier 1 visas (requiring investment of 2 million pounds). Despite Brexit, there remains a housing shortage across the UK. The secret to successful investing is to have a strong conviction when the market is uncertain. To buy when others are fearful. Are UK homebuilders being unfairly punished? Stocks fell fast after Brexit, and with ongoing uncertainty, are lower again. Middle-range homebuilder Crest Nicholson Holdings [LSE:CRST] currently sells for a PE of 6.7 and with a healthy dividend yield of 8.8%. They are experiencing Brexit slowdown, and that’s come through in their earnings guidance. I suspect once Brexit is settled, however, that slowdown may end. And the price could start ramping up quickly. I don’t mind earning 8.8% while I’m waiting. But, of course, there is a risk. Brexit could crash the property market. Some homebuilders may not survive. So you calculate that risk. The real business value is supported somewhat by land holdings. Land in a smallish country with 66 million people is always going to be worth something. But ultimately you must put fear aside. After all your research, and views of the homes and drilldowns of the annual report, you must put down some money and join the journey. The market is filled with noise. The dogs will bark. And that’s the time to stare them down and deliver. Simon Angelo owns shares in Crest Nicholson Holdings [LSE:CRST] via wealth manager Vistafolio.